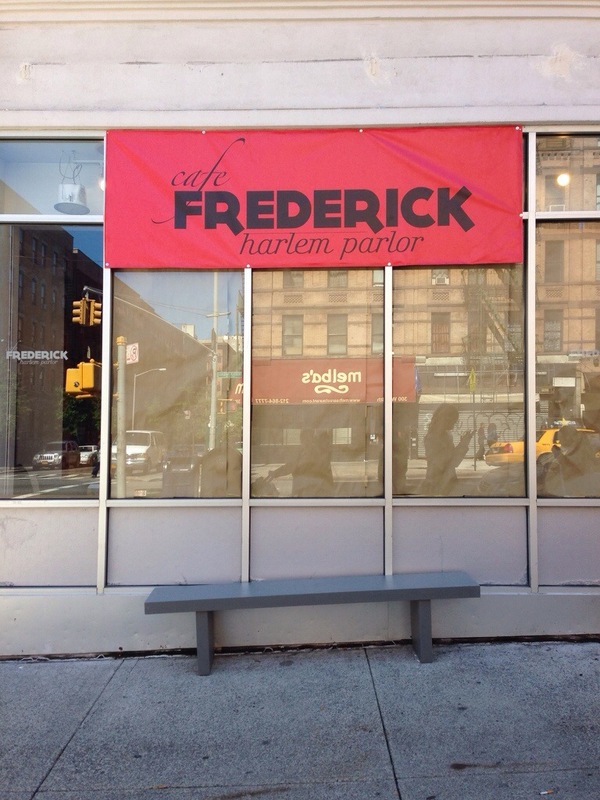 Sign says Cafe Frederick Harlem Parlor, a new Harlem business on 114th Street and FDB | HarlemGal Inc. This entry was posted in business, Cafe, drinks, food, Frederick Cafe Bistro Harlem, Frederick Douglass Blvd., Harlem, Harlem bloggers, Harlem blogs, Harlem businesses, Harlem Restaurant Row, Harlem restaurants, HarlemGal, restaurant row, restaurants and tagged 10026, Cafe Frederick Harlem Parlor, Harlem, Harlem's Restaurant Row. Bookmark the permalink.